With the IRS no longer issuing rulings or determination letters on individually designed qualified plans or § 403(b) plans under most circumstances, the importance of pre-approved plans (master, prototype, and volume submitter plans) has been vastly increased. Adoption of a pre-approved plan is now the sole method for an employer to have assurance that its plan meets IRS requirements. While § 403(b) plans cannot take the form of master plans, they can be structured as prototype or volume submitter plans. Reflecting this, Revenue Procedure 2013-22 established a program for issuing opinion and advisory letters for § 403(b) pre-approved plans. Starting June 28, 2013, sponsors of plans intended to qualify as pre-approved § 403(b) plans were permitted to apply for such letters. The first letters have not been issued under that program yet, but the expectation is that they will be issued soon. 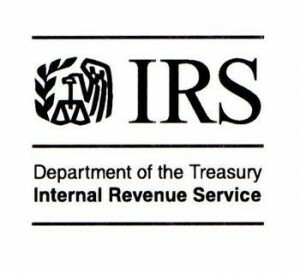 The IRS has now announced in Rev. Proc. 2017-18, 2017-5 I.R.B. 743, that the last day of the remedial amendment period for employers to adopt pre-approved § 403(b) plans will be March 31, 2020. After that date, adoption of a pre-approved § 403(b) plan will no longer give an employer retroactive relief for qualification defects which arose since 2010. Revenue Ruling 2013-22 indicated that a six-year cycle would apply to pre-approved § 403(b) plans. While it is not clear whether the second cycle would also end on exactly March 31, there will likely not be another opportunity to adopt a pre-approved plan to fix past errors until about 2025 or 2026. And even then, adoption of a pre-approved plan would likely not provide retroactive relief for periods before 2020. Obtaining an IRS advisory or opinion letter is not legally required, so long as a plan (in form and operation) complies with § 403(b). However, as a practical matter, an employer will typically want to adopt a pre-approved § 403(b) plan with an IRS letter verifying its status, since one of the major advantages of a pre-approved plan is the opportunity to get IRS blessing on the plan.